Stacie Schmidt is the Reference Services librarian at the Biola Library. She oversees Reference Services, a department within Public Services that supports the information needs of the Biola community. Her responsibilities include managing the Reference Desk, providing reference assistance for the Biola Archives & Special Collections, and guiding the Biola community in their research through instruction and in-depth consultations. 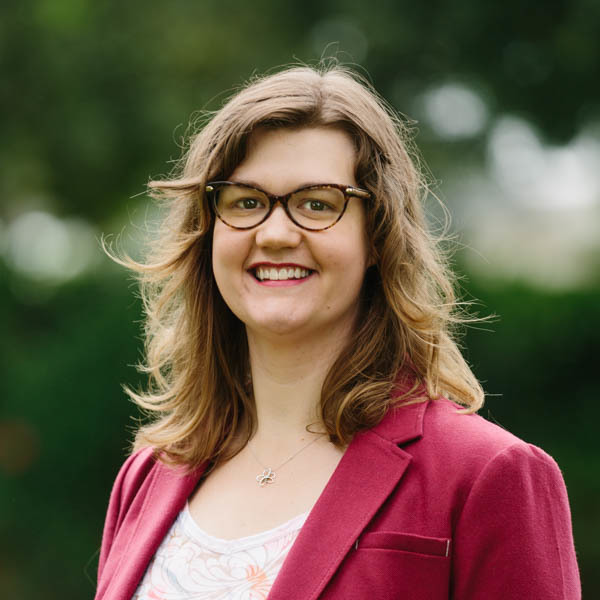 Stacie’s research interests include new avenues for reference support, effective library marketing, historical interactions between evangelical communities and Hollywood and Hollywood interpretations of history. Outside of the Library, Stacie enjoys reading works by Dorothy L. Sayers, speculating about Star Wars and having grand adventures around Southern California. 2016 Library Services User Survey Summary Data Report. Morley, Juliana, Ray, April, Schmidt, Stacie (Biola University Library, 2017). American Theological Libraries Association Annual Conference, Long Beach. Presented on “Supporting International Students through Library Services,” Conversation Group. June 2016. California Academic and Research Libraries Annual Conference. Presented on “The Library Trail,” Lightning Round Presentation with Julie Ellis. March 2016. California Academic and Research Libraries Annual Conference. Presented on “Student Leadership at the Reference Desk: Overcoming Obstacles to Student Success,” Poster with Juliana Morley. March 2016.